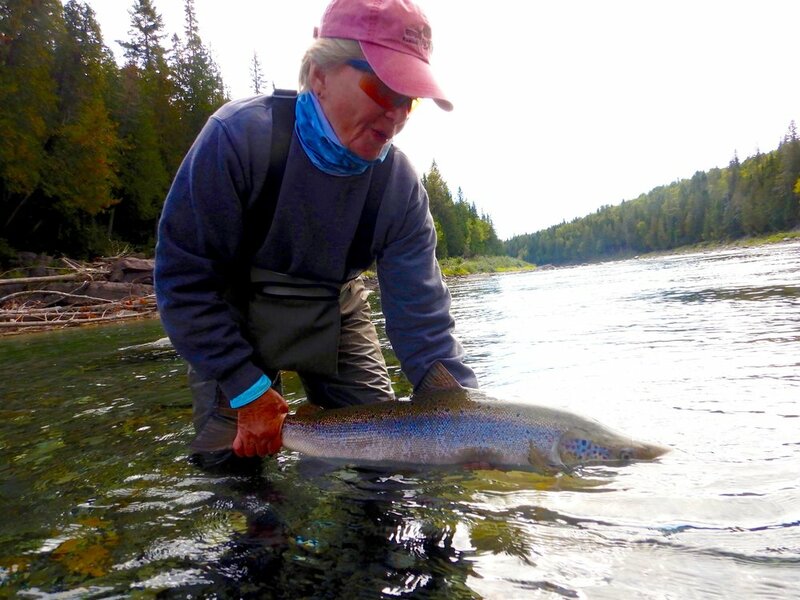 This was Carole McAlpin’s first Atlantic salmon, congratulation Carole, see you in next year. 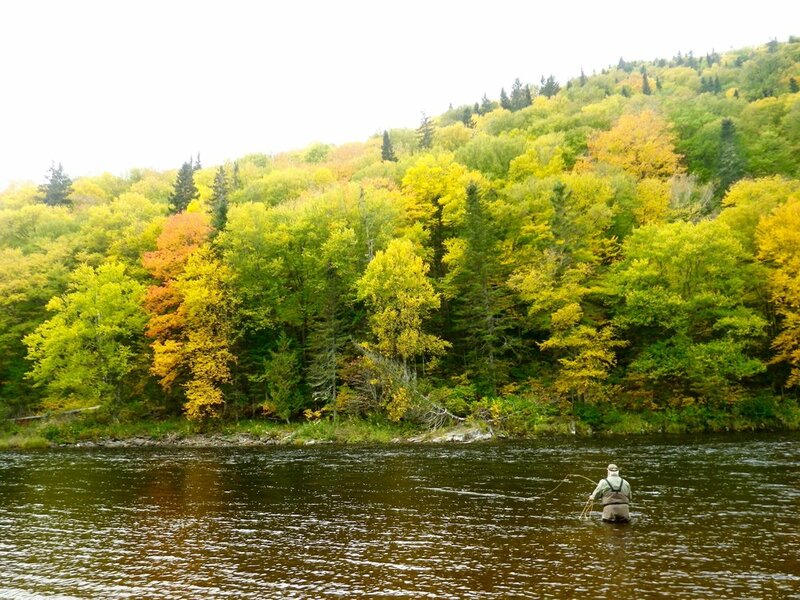 Salmon Lodge regular Manuel Tavares loves September fishing, and he’s very good at it! Nice one Manuel see you next year. 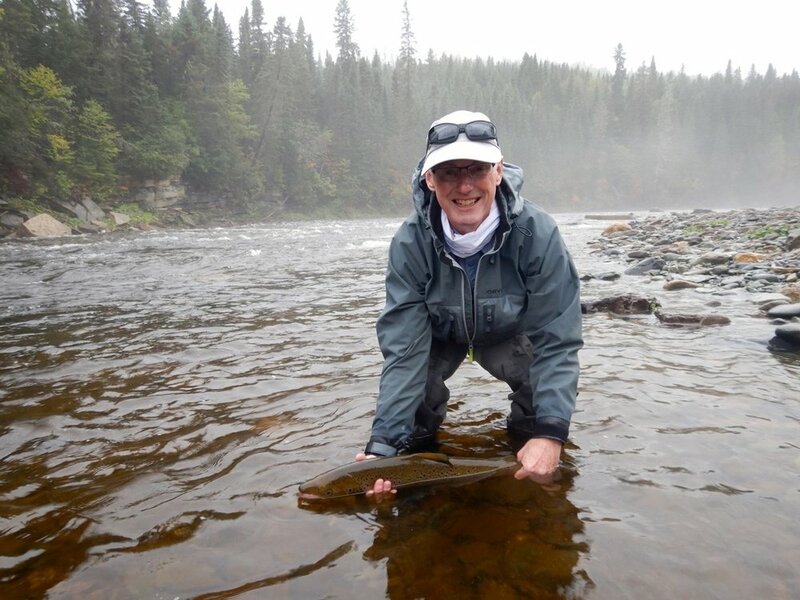 This was Steve Bujold’s first trip to Salmon Lodge, not his last, see you next year Steve, congratulations ! John Wemekamp finished off the season with a fine grilse, Nice one John! The fall colours of the Grand Cascapedia . Another season comes to an end, until next year.